Artificial grass in Calgary has become a must have for residents not wanting to deal with cutting and maintaining grass. 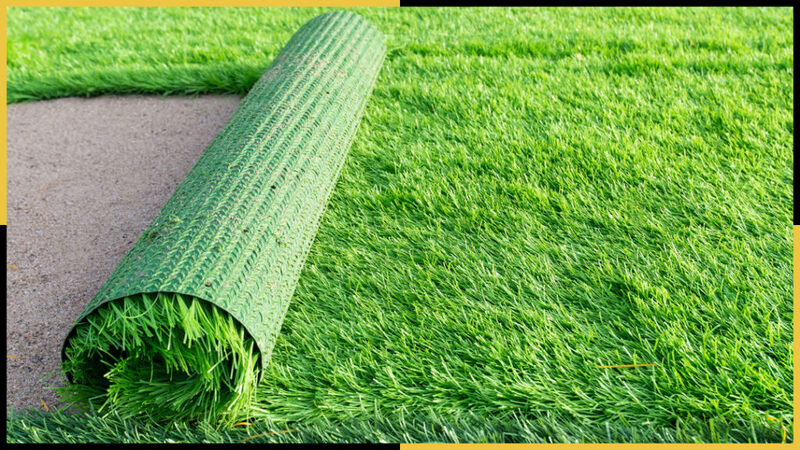 Tazscapes Inc provides you with Synthetic lawn options from putting greens to pet friendly fake grass so your yard looks lush and green and stays maintenance free. At the Calgary landscaping company, Tazscapes Inc., we have seen the rise in residential landscaping services to include a new product taking over Calgary: Artificial grass, also known as synthetic grass. Fake grass works for both indoor and outdoor applications. We provide our clients with the option of installing this “fake” grass so they can have a maintenance free lawn forever. There are many landscaping options when it comes to artificial grass in Calgary and we have educated ourselves in understanding the distinct differences in each of them so we can provide our clients with top grade products irrespective of their needs. Many Calgary residents have no choice but to let their pets attend to the call of nature outside their homes knowing full well that it’s bad not only for natural grass but also the environment. Artificial grass (also known as pet turf) solves this problem by offering turf products that are pet friendly and environmentally sound thus allowing the contents to drain properly. Becoming more popular in residential applications, many Calgary residents today love the fact they can practice their game at the convenience of their very backyard or just to simply to create a destination area for “play”. By opting to go with artificial grass, our clients are heavily reducing the amount of maintenance required for a golf ready area all year round. Forget about cutting your lawn or water your grass. Sounds appealing right? You’re not alone. The sound of no maintenance is music to any Calgary home-owner’s ears. It doesn’t grow and it doesn’t die. Synthetic grass doesn’t require any chemicals or fertilizers, you don’t have to clean any pet urination, and there are no gophers to chase out – artificial turf is easy to buy and literally maintenance free. Different types of turf grasses are available from you wanting to design and install a putting green to replicating real grass, you have it luscious green all year round. It’s durable and keeps the value of a Calgary home high. At Tazscapes Inc. we ensure that we not only supply a top quality turf but also ensure we are delivering our clients the best landscape construction practices. With regards to artificial grass, we confirm that there is proper site preparation for installation which includes a compacted aggregate base and positive grading before we install the fake grass / synthetic turf. This will ensure you don’t have any issues going forward with your new synthetic lawn. Call Tazscapes Inc. today to see the various artificial grass or synthetic lawn product options for your Calgary home!